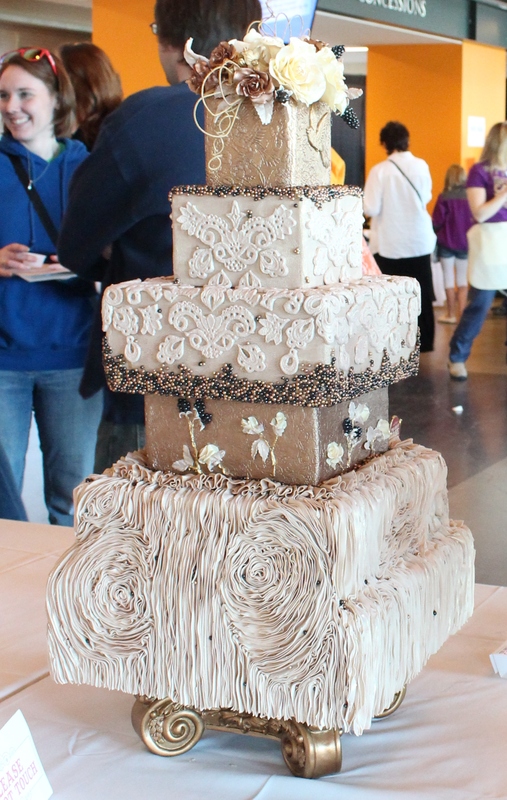 The Great Cake Bake in Knoxville draws entries from some of the area’s finest bakers, cake makers, and even some novices interested in dabbling in the art of embellishment. With proceeds from admission tickets going to Dolly Parton’s Imagination of Knoxville initiative (to send books to children in Tennessee each month free of charge), cakes and cupcakes must be designed around a book title or character. And the details warrant second, third . . . even fourth glances! 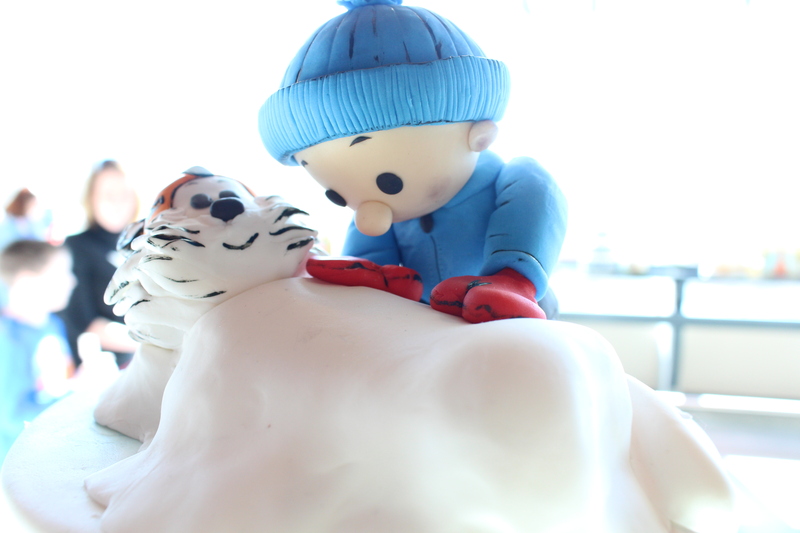 Calvin seems quite focused on Hobbes in this cake topper from The Great Cake Bake 2014. 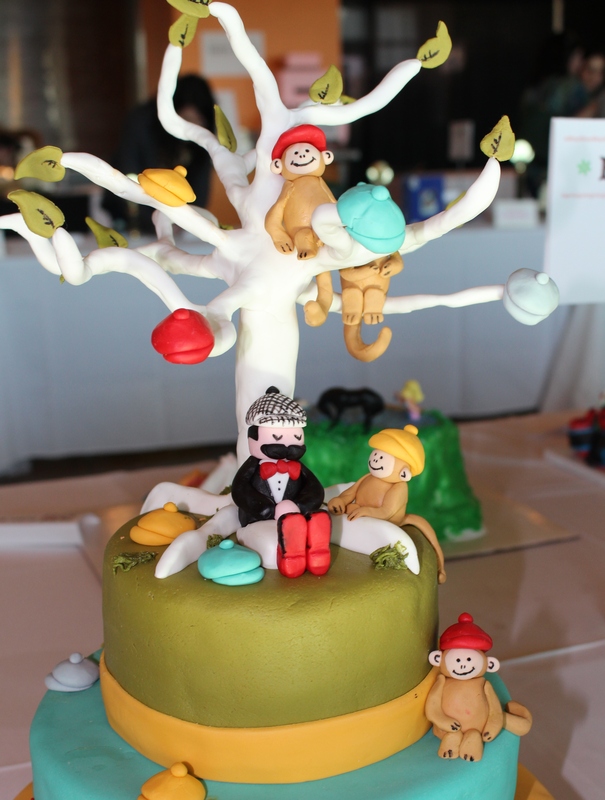 Another category — Wedding Cakes — offers a glimpse into the sophisticated, artistic world of detailed cakes for a bride and groom’s special day. Amazing, right? 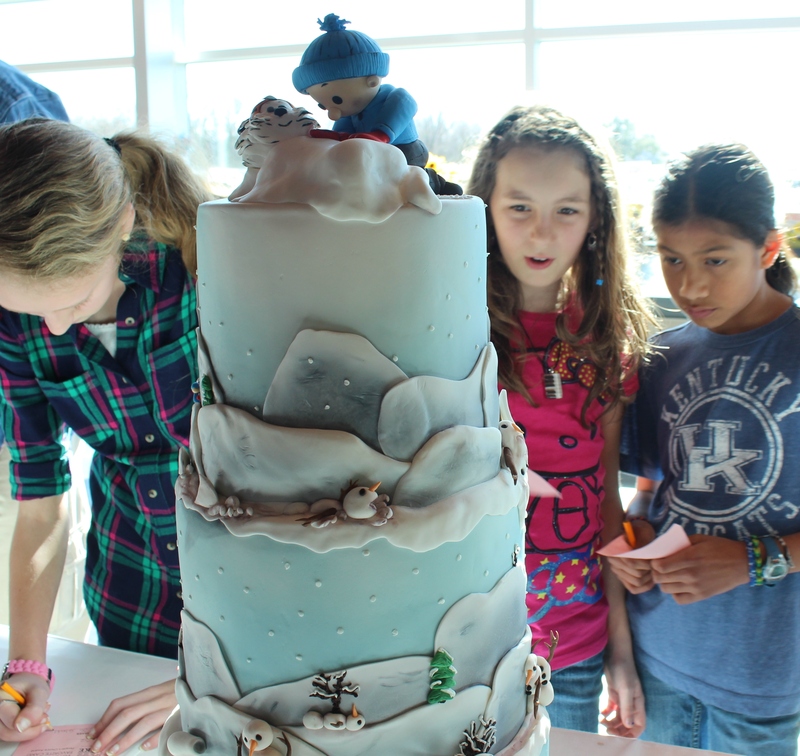 This year’s Great Cake Bake is February 28, 2015, from 12:00 to 5:00 PM at Neyland Stadium, Knoxville, Tennessee. Well worth the trip — especially if you are lucky enough to bring home one of these detailed designs! Click here for more entries in this week’s Travel theme: Details from Ailsa’s blog, Where’s My Backpack? This entry was posted in Travel Theme and tagged Calvin and Hobbes, Caps for Sale, Dolly Parton, Imagination of Knoxville, Neyland Stadium, postaday, The Great Cake Bake, Travel theme: Details. Bookmark the permalink. We’ve discovered that the best time to attend the show is during the last hour. The baked goods at the sale table are all marked down!!! Who doesn’t love cake? So very true! I know I don’t have the patience to create anything like these! Thanks for taking a look, Amy!